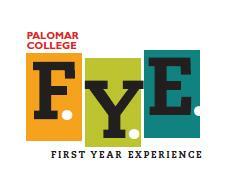 First-Year Experience (FYE) is a year-long college program focused on providing first-year students with the services and support needed to transition successfully to college. The program encourages academic achievement, social integration, and personal success with the assistance of a strong support network of peers, staff, and faculty. Students participate in an orientation and receive individual college planning and financial aid application assistance, referrals to college resources, mentoring, and tutoring support; they participate in academic enrichment, career, and social activities throughout the year as well. Starting Fall 2019, students participating in the FYE program must be a first-time college student. 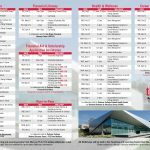 In addition, students who have applied and been accepted to the FYE-Palomar Promise program will receive additional resources from Palomar Promise. This will include tuition and textbook assistance for the first year. The philosophy of the First-Year Experience program is to empower and support students in their goal of obtaining higher education. The program creates mechanisms which help students understand the college process. By fostering partnership with faculty, staff, and support services the program seeks to enhance retention of all first-year students. The First-Year Experience program values individuality and diversity, and recognizes that students enter college with varying knowledge and goals. The program is committed to assist students to gain and maintain motivation, and to completing set goals.